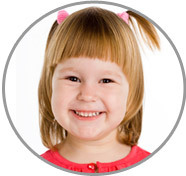 ABC Nanny Source prides itself on being one of the most recommended Fairfax County, VA Nanny Agencies! Call today! Vanessa loves working with Fairfax County VA Nanny Agencies and spending time aiding in the development and growth of children! "If I was asked to describe in one sentence the reason I have chosen to be in the nanny profession over any other, it would have to be because I enjoy working with children. I have been serving in some form of childcare experience for over 3 years and can honestly say I love what I do! I feel that children are wonderful. My goal as a Nanny is to provide the family a great service and contribute to the growth of development of children. I am willing to do housekeeping that includes cleaning the house, doing laundry, and preparing meals. If I had to describe myself in five adjectives I would say that I am fun-loving, energetic, responsible, outgoing, and lovable. Activities that I would like to incorporate in the daily plan for the family I care for would include assisting with homework, drawing, going to the park and playing outside. If asked to describe the perfect family seeking a Nanny like me I would hope they would be friendly!" "I highly recommend Vanessa! Vanessa student taught with me and we spent eight weeks together, between different schools. Vanessa proved to be an exceptional teacher. During those eight weeks, Vanessa showed a great deal of poise and confidence, professionalism, a nice personality, and good communication skills. Her work ethic proved to be very strong. She always presented excellent work and it was always done in a timely manner. Vanessa had the opportunity to teach K-5 physical education and health. Some of her work included daily lesson plans, unit plans, a teacher work sample, bulletin boards, and of course daily class teachings. All of which met my expectations and more. Vanessa had a very nice rapport with the children and the faculty and staff as well. I recommend Vanessa for a nanny position without a doubt. I feel that she will be an exemplary addition to your family"
"It was my pleasure to have Vanessa as a part-time childcare provider for my daughter. Vanessa cared for my 4 year old daughter several times throughout the year. While watching my child, Vanessa always showed enthusiasm, friendliness and patience inside and outside my home. Not only did Vanessa show up, but she took my daughter to the park, swimming and on bike rides. Vanessa also coached my daughter in an “itty bitty” tumbling class for children ages 3-6 every Monday evening for six weeks. Vanessa always showed up on time and worked flexible hours despite the time of day/night. Knowing Vanessa is graduating in the teaching field with a degree in physical education she aspires to work with children as her career and I have no doubt that she will be successful with her future endeavors with Fairfax County, VA Nanny Agencies." "It is with great pleasure l recommend Vanessa for a Nanny position. Vanessa was my student teacher in a middle school setting. While with me, Vanessa taught Health to 8th grade students, as well as an equal amount of Physical Education to 6th, 7th, and 8th grade classes. Vanessa was able to instruct a Health course for two 8th grade classes. This allowed her to truly experience the necessity of building a foundation of effective classroom management techniques. She was not only receptive to feedback from me, but she was also self-aware enough to make adaptions on her own. I feel she took full advantage of this experience to prepare well for effectively managing her "own" classroom. This will be a tremendous asset Vanessa beginning her teaching career. During her placement with me, Vanessa was very organized and well-prepared. She arrived early most days to ensure she was prepared for the day's lesson. She worked to develop a rapport with her students, while still maintaining authority. Vanessa developed age appropriate lessons to engage and challenge her students. Her lessons and assessments were designed to align with our curriculum well as the state standards. She worked to include a variety of assessment opportunities to assess her students' knowledge and growth. Vanessa is a motivated young woman with the tools/drive to be a successful educator." "Vanessa had a wonderful rapport with her children and their parents. During her short time at our daycare facility, she enjoyed many friendships with her peers and she was highly respected as a professional. Her genuine love and concern for those in need could be seen in the way she interacted with her students. She did not only view herself as a teacher, she felt that she had a responsibility to her students to be involved in their lives outside the classroom as well. Vanessa spent many afternoons and evenings with them. Vanessa is extremely organized, reliable, has a quick mind, and demonstrated professional flexibility. When working with children, often the best laid plans go awry. She never allowed this to be a source of frustration and was able to adapt to sudden schedule changes. The environment of elementary school is a fast paced one, but she managed to keep up every step of the way. Vanessa is also an excellent troubleshooter and was able to prevent certain problems before they could arise. Vanessa accomplished her tasks with great initiative and with a very positive attitude. I recommend her to any of the Fairfax County, VA Nanny Agencies."